Notes: Serves 8-10. Does not require an ice-cream-making machine. Will keep in the freezer for a month. 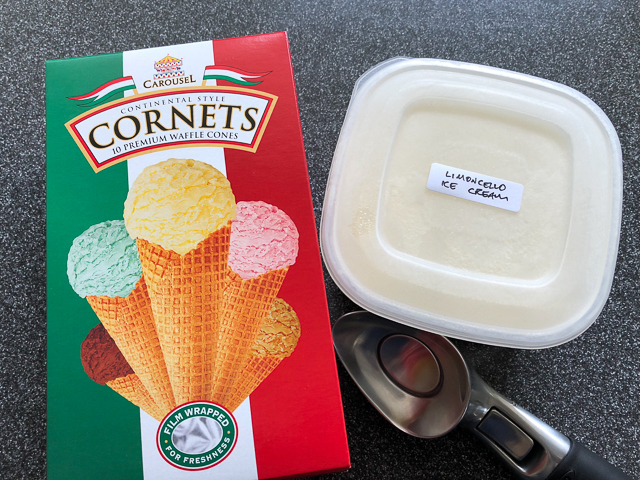 If you can’t obtain any limoncello, you can, apparently, use three tablespoons of ice-cold water instead—but it’s hardly going to be limoncello ice-cream, then, is it? Whip the cream with the limoncello to make soft peaks, then beat in the lemon-juice mixture.